"The story of a nobody who saved everybody." In this animated adventure, an ordinary guy who just wants to live his ordinary life is drawn into a plot to save the world from an evil madman. Can this ordinary guy somehow turn out to be as extraordinary as he needs to be? Also, everything in the world is made out of Legos, for some reason. Chriss Pratt, Will Ferrell and Channing Tatum lend their voices. 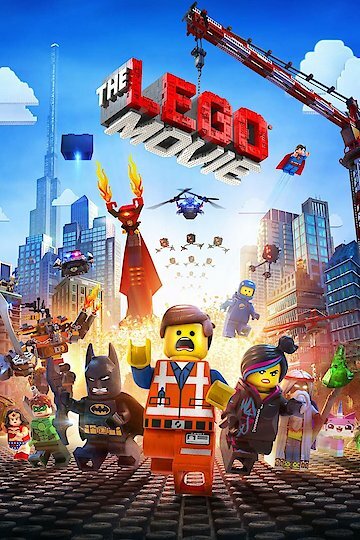 The Lego Movie is currently available to watch and stream, buy on demand at Amazon, Vudu, Google Play, FandangoNow, iTunes, YouTube VOD online. The animated sequel performed far below expectations. January was terrible for movie studios. Will February be different? We still can't get over the fact the "The Lego Movie" wasn't nominated. Will Arnett will reprise his role as the plastic Dark Knight.